Got a couple of questions but first off I have to set the scene. 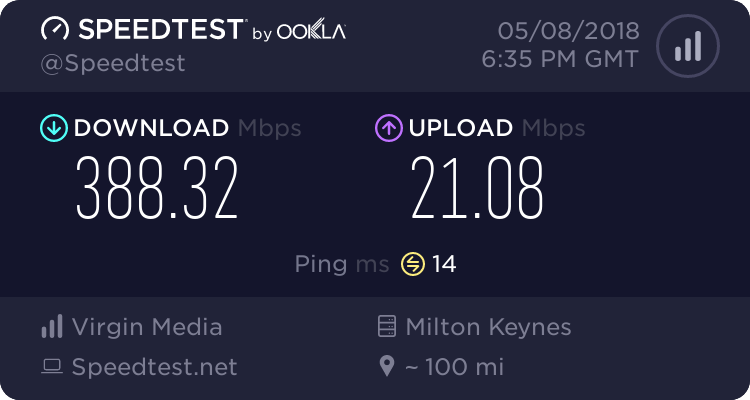 I joined MDWS and set up DSLstats, with the key and ticked all the right boxes, yesterday and everything seemed to be uploading and recording just fine. Anyway, I left my PC on overnight so that it could upload at least 24 hours worth of data but having gone to bed and then getting up this morning, I found my PC had crashed at around 1 am. I restarted but discovered that, obviously, MDWS hadn't been recording any data since the time of the crash. I started DSLstats but all the configuration details appeared to have reset and I couldn't input my key into the box and therefore couldn't upload any data. 1) Is there an option in DSLstats to autostart the program on boot up (can't see one) - if not is there another way I can do that (perhaps by simply adding the .exe file to the start-up folder, can't do it via task manager)? 2) Do I have to input the validation key every time I start DSLstats in order to upload to MDWS? Hope the questions make sense - remember that I'm new to this. 3) What is vectoring? My MDWS page says it's not enabled - should it be and what's the advantage of doing so? 1. I'm not sure about this one, although if your PC automatically logs into your account when it starts then you could indeed put a short cut in the Startup folder. 2. I very much doubt it, but I'm sure the author will be along at some point. 3. Vectoring is a noise cancellation technology, each VDSL signal will impact on other VDSL broadband phone lines in the cable bundles, thus reducing maximum sync, this is called crosstalk. Vectoring works to reduce the crosstalk (don't ask me how), and thus increase maximum sync. Vectoring is only available to a very select few, where it is used to help increase the sync speeds to reach targets. 1. Assuming that you're using Windows, then I suppose that a shortcut in the Startup folder will work. In the Misc section of the DSLstats configuration there's an option to start recording automatically. 2. The validation key is saved in the DSLstats configuration, so you only need to enter it once. I've put a shortcut in the startup folder and it appears to have worked, having restarted to test. The program also shows up on the startup tab in Task Manager.